Call him “Royal Highness” because Madison Bumgarner is the King of New York. 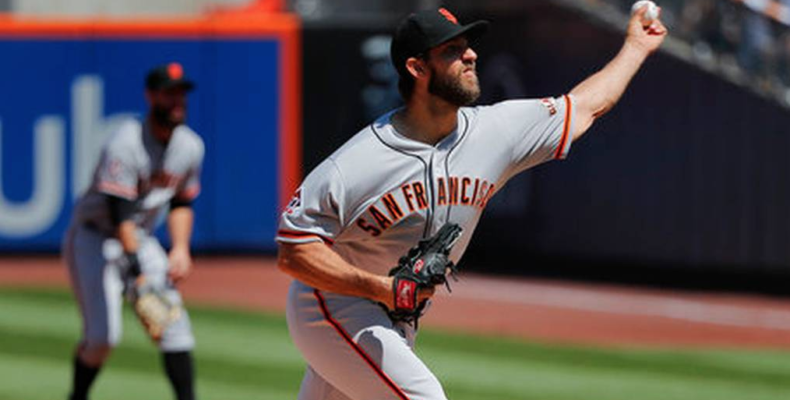 Bumgarner is 5-0 with an 0.59 ERA in six starts at Tom Seaver Field, including yesterday’s superb outing of eight innings on one run and a measly few hits on 8 ks and zero walks. His stuff was impressive and he worked his way out of trouble with efficiency in one key inning, the bottom of the seventh. The Giants played great defense again behind the big fella. 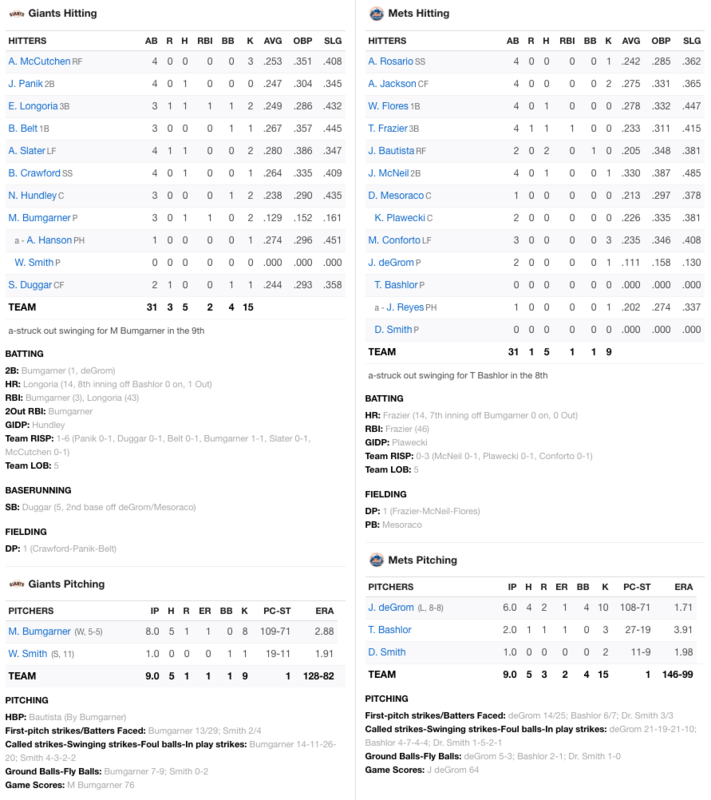 There was a key bomb by Evan Longoria to get back a run in the top of the eighth inning and an RBI double by Bum in the top of the fourth inning. All in all this was a classic Giants win with our ace being acey and the team playing well behind him with a few big hits. Oh, did I mention the Giants and Bumgarner beat Jacob deGrom, the all-world Mets ace who may win the 2018 Cy Young in the NL this season? Tonight the Giants return home to start a three-game series against the Rangers. D-Rod makes his return facing Drew Hutchison of Texas. First pitch is at 7:15, Tim Lincecum time.